Lois Braverman, LCSW, is President Emeritus of the Ackerman Institute for the Family. She was the Institute’s fourth president from 2006 to 2018. 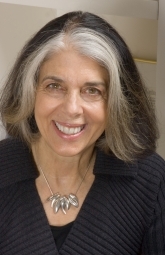 Ms. Braverman is a highly regarded educator and clinician with over 40 years of experience in the field. Her many publications and international presentations challenge the assumptions implicit in major schools of family therapy about women’s role in the family, in the workplace, and in the psychotherapeutic setting. Her special areas of interest have been women’s friendships and marital relationships, depression and marital dynamics, motherhood and mothering, and issues of power in family therapy. Currently, her clinical research project is seeing families with a young adult who suffers with serious mental illness. She is founding editor of the Journal of Feminist Family Therapy and author of Women, Feminism and Family Therapy, (The Haworth Press). She was the recipient of the 1994 American Family Therapy Academy’s “Innovative Contribution to Family Therapy Award” and the 2012 University of Iowa, College of Arts and Sciences’ Distinguished Alumni Award. She maintains a private practice specializing in couple and family therapy.